Edwin & Irma had many holidays in Scotland and when they decided to change their lives they chose to move from their home in the Netherlands to Stoer on the North West Coast of Scotland. It was a big decision for them to make and they wanted to know they were making the right choice so they did a lot of local research on the area and trade in and around The Highlands and eventually found their dream property in Cruachan Lodge in Stoer, which sits directly on the fantastic North Coast 500 route and close to the town of Lochinver. Whilst all this was happening they were also looking at their finance options and came to the conclusion that they would need help from an experienced broker. They chose us here at Stewart Hindley & Partners to work with them and to source the best deal available for their circumstances. We worked with Edwin & Irma for a few months looking at various property details and their accounts and gave them an unbiased opinion on their finance options. There were lots of emails back and forth and Edwin & Irma came over to Scotland in November 2017 and viewed a number of properties, eventually deciding on Cruachan Lodge which was a former manse and had a good historical trading history. Once their offer was accepted on Cruachan Lodge we worked with both them and the vendors to get the deal done. Due to Edwin & Irma’s location in The Netherlands the initial bank meeting was carried out using teleconferencing which enabled the bank to carry out their due diligence and submit the case to their credit team. The deal was eventually approved (subject to valuation) and a commercial valuation was undertaken. There were some details which needed to be addressed post valuation and having agreed the details completion was set for 1 March 2018. Edwin & Irma have now moved into their new home and are looking forward to welcoming guests from Easter 2018. 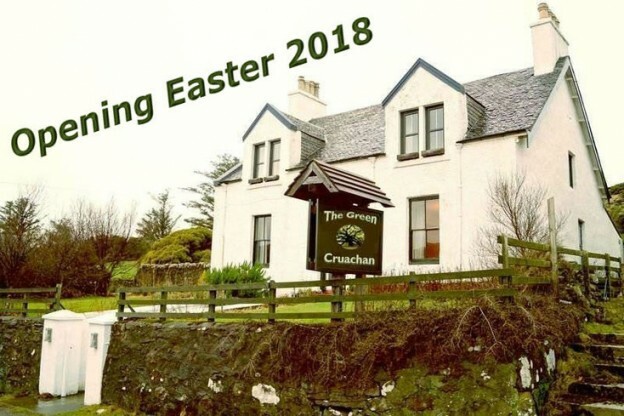 Cruachan Lodge has been re-named to The Green Cruachan which reflects Edwin and Irma’s commitment to green, sustainable living. They are offering a warm welcome, comfortable luxury accommodation and a healthy vegetarian breakfast to their guests and are looking forward to welcoming guests.